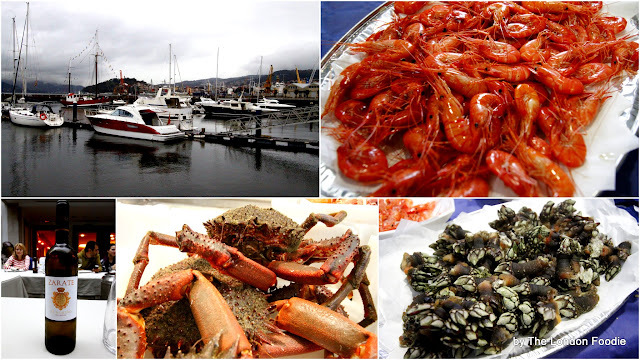 If you love (and will travel for) top quality fish, seafood and good wines including those from the wonderful albariño grape, Vigo may well be where you should be heading this summer. 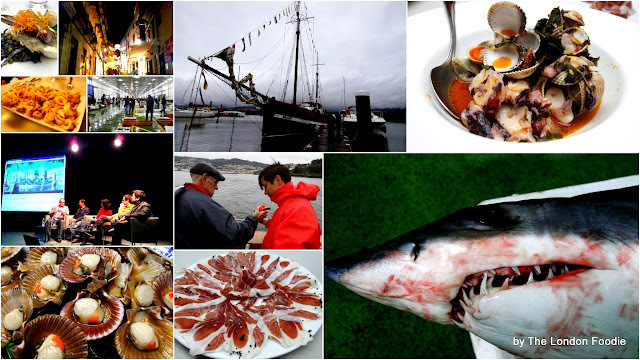 I was recently invited to the capital of Galicia, to find out and report what this relatively undiscovered Spanish city has to offer to overseas travellers, food and wine lovers. I was not disappointed. In less than 48 hours, I got to visit a few of Vigo's sites of interest including its fishing port (reputedly the largest in the world) to witness the auctioning of the day's catch, and its thriving local fish, seafood and vegetable market, the Mercado do Berbes. I also had the opportunity to dine at a Michelin-starred restaurant, the excellent and surprisingly affordable Maruja Limon, and attend a Galician cookery demonstration by one of city's most celebrated chefs, followed by a rather long and boozy lunch. 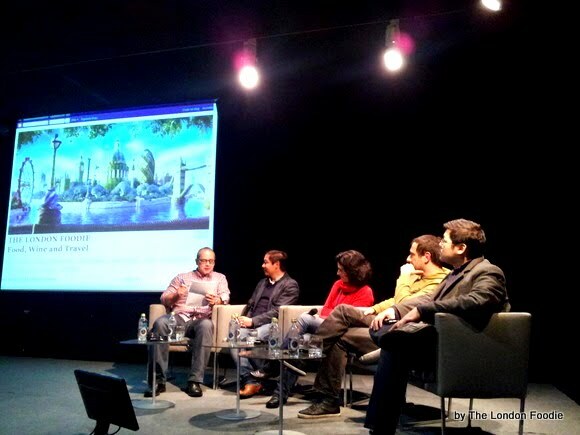 Before hitting the old town known locally as Casco Viejo for a "tapas-bar crawl" (a highlight), a group of fellow food and travel bloggers and I took part in a discussion panel at Vigo's Museum of Contemporary Arts auditorium with local businesses people, to debate how social media and networking might assist Vigo's budding tourism industry. Located in the South-West of Galicia, the region known as Rias Baixas, Vigo is the major Spanish city on the ancient and well-travelled pilgrimage route from Porto in Portugal to Santiago de Compostela. I have made this trip a couple of times myself, driving past Vigo without a thought for this beautiful city - a real shame as little did I know what awaited me there. Wherever and whenever I travel, one of the most enjoyable experiences in my opinion is visiting the local food markets and small food shops. Undoubtedly, there is much to learn about a nation by looking at what people eat and their relationship with food, but what really motivates me is to stumble upon, try and experiment with new, unfamiliar and delicious ingredients. One of the highlights of this trip was a visit to Mercado do Berbes, one of the city's main food markets. Interestingly, the fishmongers were all women - it was explained to me that their husbands and male partners will do the fishing at night, while the women will sell the catch during the day. I hope they get to see each other sometime in the afternoon! The market was immaculately clean, and many varieties of fish were beautifully displayed and very fresh, without even the faintest hint of odour. There were many stalls selling huge spider crabs, monkfish, turbot and squid among others. I also saw stalls selling goose barnacles or "percebes" as they are locally known. Percebes are a delicacy in Spain and Portugal, and are expensive as they are dangerous to catch. Percebes only grow where there is movement of water, mainly on rocks where the waves break. Percebes are traditionally caught by women, and it is not uncommon to hear stories of people dying while trying to catch these delicious barnacles. The variety and quality of fish and seafood was indeed impressive, as was the other produce at a selection of shops - local cheeses, meat, vegetables, artisan bread and savoury tarts among other things. We were accompanied by Chef Robert Pardo, who showed us around while purchasing ingredients to cook a delicious Galician lunch later that day. A very early visit to the incredibly busy Port of Vigo was another highlight. The largest fishing port in the world, it attracts fishing boats from across the seas arriving at Vigo to sell their catch, or as a starting point en route to other European destinations. The auctioning taking place at the port is interesting - lots are auctioned starting at the highest possible value, then lower values are offered until someone makes a bid. For example, a lot made up of boxes of monkfish might have a starting price of £1,000, but then offers of £950, £900 and so forth are made until someone bids for them. Judging by my visit and the quantity and variety of fish I saw being changed hands that day, it is not difficult to see why Vigo is reputed to have some of the best fish and seafood in the world. Jamón Ibérico (Iberian ham) is not originally made in Galicia but rather in the province of Salamanca. It is not difficult however to find some fine shops dotted around town selling this magnificent ham. Trying Jamon Iberico is one of those transcendent gourmet experiences that once you are lucky enough to have, you will never look back. There is no substitute for the intense, rich and sweet flavour of this ham made from free range, Iberian black pigs. The finest Iberian ham is called jamón ibérico de bellota (also known as " jamón ibérico de Montanera"), and is cured for 36 months. The ham is from free-range pigs that roam oak forests (called dehesas) along the border between Spain and Portugal, and eat only acorns (bellotas in Spanish). Their daily exercise and diet, as well as the 3-year long curing have a significant impact on the flavour of the ham. The next grade down is called jamón ibérico de recebo. This ham, cured for 24 months, comes from pigs that are pastured and fed a combination of acorns and grain. The third type is called jamón ibérico de cebo, or simply, jamón ibérico. 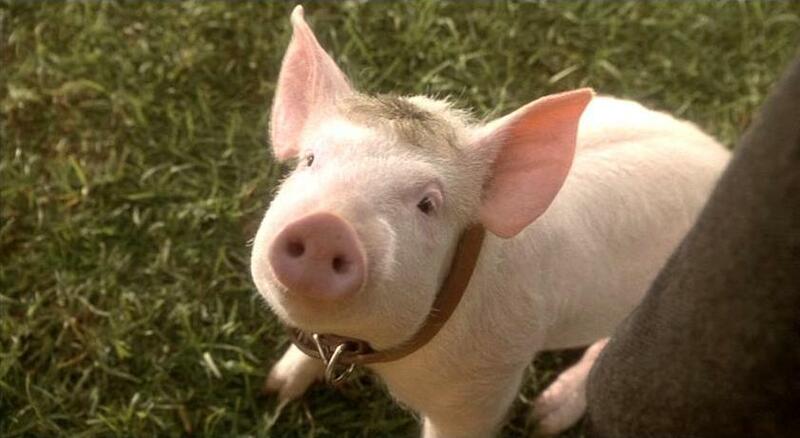 This is also cured for 2 years, but unlike the two finer grades, this ham is made from pigs that are only fed on grain. I stayed near a handful of shops selling jamón ibérico, and within 30 minutes of checking in I found "Casas del Monte Montechico" just a block away from my hotel. This elegant shop is a jamón ibérico paradise, selling various grades of the beast either whole or finely sliced as well as many other products made from it: sausages, salami, pates, chorizo, among others. They also sell other gourmet items like foie gras, fine wines and artisan olive oils. I spent a good hour window shopping here, and highly recommend a visit. Before returning to the UK, I purchased an entire leg of jamón ibérico de bellota there, and for a little extra cash and 24-hours notice, they can also finely slice and vacuum pack your ham. We were treated to a cookery demo and a delicious lunch featuring some of Vigo's best dishes and local produce by Chef Robert Pardo. Most of these ingredients were purchased that morning at Mercado do Berbes, like the canapés, a delicious empanada of turnip tops and local chorizo sausages, as well as all the fresh fish and seafood. Chef Robert Pardo cooked up a true Galician feast for us - I enjoyed the different textures and flavours of the sea in his starter of octopus, seaweed and cockles, followed by an equally magnificent main of turbot, razor clams and rice cooked in squid ink. To accompany, we had a 2011 bottle of Bodega Zarate's albariño, one of Rias Baixa's most reputable wine producers. Pudding consisted of various local specialties - I particularly liked "leite frita" or fried milk - an intriguing dessert of sweet curd (or thickened milk) which was lightly battered and deep-fried. I had quite a few of those! I also enjoyed some of the local cheeses served with membrillo (quince jelly). Maruja Limon is a small, elegant restaurant near the Old Town (Casco Viejo), and is also Vigo's fine-dining, 1-Michelin starred restaurant option. Chef Rafael Centeno Moyer heads the busy kitchen of this popular restaurant and this is where we headed for our first meal in Vigo. The sommelier Ignacio Costoya chose a couple of regional wines for pairing and conducted an interesting if somewhat unusual tasting, where we ended up being blindfolded, and not the bottles. The idea was that the order and sometimes the temperature at which the wines or food are consumed will have an impact on the enjoyment of the wines. An interesting concept, but one I could not fully appreciate. I enjoyed both of his selections, the 100% Albariño by Altos de Torrona from Rias Baixas was a perfect example of this region's most famous wine, and surprisingly, a very well made organic red from Ribeira Sacra by Bodegas Regina Viarum. We kicked off with a delightful amuse bouche of bonito sashimi (a fish used extensively in Japanese cooking for dashi stock), lightly marinated in olive oil and served with a fresh tomato concasse. This was followed by tartare of veal lightly flavoured with mustard and shavings of a local hard cheese similar in flavour and texture to Italian Parmesan. The roasted scallop with nutmeg and macadamia was another highlight - it was plump, juicy and perfectly cooked, sitting on well-flavoured and creamy cauliflower puree. An escabeche of red mullet was next. I enjoyed the light pickling of the fish, and the unfussy, simple cooking of it (pan-fried) served on a bed of vegetable (courgette) noodles. The dish that followed, apparently a peasant, traditional local one, was my favourite - sautéed mushrooms with bacon, lightly cooked egg yolks and truffle-flavoured béchamel sauce made a heart-warming and delicious combination of flavours. Next up was the roasted grouper fillet served with braised seaweed and artichokes - I enjoyed the way the Galicians incorporate seaweed in their cooking - I have not experienced this outside Japanese cuisine and was very pleasantly surprised. Veal sweetbreads (thymus gland) are among my favourite foods, and are a delicacy that can be expensive, so whenever I am lucky enough to have them, I savour every spoonful. And that is what I did at Maruja Limon, their sweetbreads were served with grapes and cheese, and were creamy and utterly delicious. To finish off, we had a very refreshing dessert of green apple ice cream with celery, mandarin and pineapple. If my dinner at Maruja Limon is anything to go by, the 7-course, €62.50 (£54 per person) tasting menu offered is one of the best value Michelin-starred menus I have come across. A lighter option is also available, the Menu Degustacion Corto at €45.50 (£39) for 2 starts, 1 main and a dessert. Highly recommended. Bar Eligio was the first of 3 tapas bars we stopped by in the Old Town, known locally as Casco Viejo. It is a small and charming place, serving a selection of popular tapas dishes priced from £4 to £9 and a range of well priced Spanish wines. 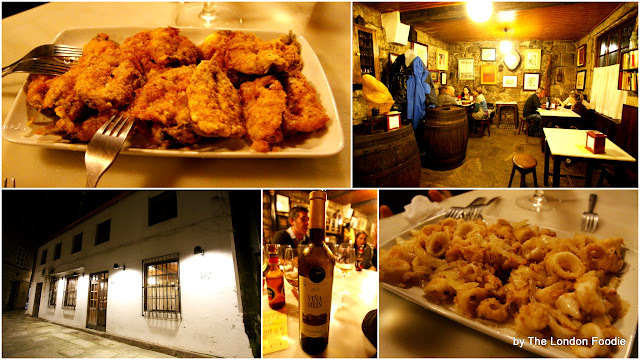 I enjoyed the generous portions of battered and deep-fried sardines, and squid with onions, washed down with a well made and very aromatic bottle of white wine made from a blend of Treixadura, Torrontes and Albarino grapes by Vina Mein, a real steal at £14. 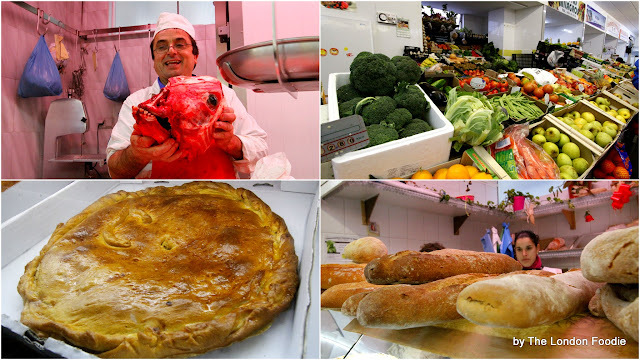 On the pretty Rua dos Cesteiros, A Lareira is a modern deli selling a selection of gourmet items including artisan cheeses, regional wines, cold meats, salami and many other goodies. I enjoyed a taste of the local cured beef, thinly cut and resembling an Italian bresaola. Restaurante Lamari is a simple cafe on the beautiful Plaza da Pedra. The ham croquettes were sadly a little doughy, but the octopus and potatoes in olive oil and paprika were very good. I also enjoyed the bottle of Albariño by Bodegas Valminor. Gran Hotel Nagari is very well located on the leafy Plaza de Compostela, a few minutes' walk to Vigo's busy shopping district, historic old town and also the sea-front. It is a modern and beautifully designed hotel, part of the Solvida Group. Rates start around £80 on TripAdvisor. My room was reasonably elegant in tones of dark brown, beige and white and featured a large jacuzzi bath tub in the middle of the room, which I unfortunately had no time to try. A small snag though was the "light switch" by my bed - it had buttons for just about anything you never knew you wanted in that room like opening and closing the curtains or windows, dimming the lights, turning on the TV, etc. This was all very cool until I woke up during the night trying to simply turn on the lights. Breakfast at Gran Hotel Nagari was excellent - the buffet included freshly made tortillas, cold meats and local cheeses, fruit, yoghurt, juices and a variety of good quality bread and sweet pastries. The coffee was good and strong as expected, and cooked options were also available on request for no extra charge. The hotel has a swimming pool, spa and fully equipped gym on the top floor with great views of Vigo and the sea. Being the height of winter during my visit to Vigo, this section of the hotel was closed and so I was unable to photograph it. You will find everything you need to know about the magnificent wines of this region on the above link. looks wonderful Luiz, i have plans to vist the area in the summer so will check back when i'm planning my itinerary! Where else could anyone get that kind of stuff such a beautiful images keep sharing ..
Next summer, I can rent you my house nearby. This summer is already booked, sorry.